Get some juice between your toes in Leavenworth. Need to getaway? Well, Leavenworth is charming and just over a 3 hour drive from Spokane. 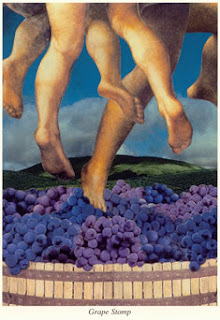 And if you go on September 18, 2010 you can GRAPE STOMP in the Leavenworth Festhalle (Downtown Leavenworth). You know you've always wanted to feel juice between your toes. Enjoy the wines from 30 wineries across the state of Washington. Taste wine and food, listen to great jazz music, stomp on some grapes and enjoy the beauty that is Leavenworth in the fall. $30 dollars will get you in the door, a glass to take home and 15 tastes of outstanding Washington wines. Don't miss out on your opportunity to get some juice between your toes, and benefit the Leavenworth Civic Center Foundation as you enjoy the bounty of the vineyard. Tickets are available at http://leavenworthcrushfestival.eventbrite.com Tickets are available from the Leavenworth Chamber of Commerce, either walk right in and purchase or give them a call at (509).548.5807. This event is for ages 21 and older only. Here's Lucy to get in the grape stomping mood. Love this clip. 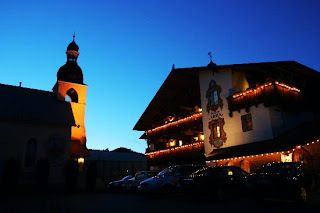 About Leavenworth: The City of Leavenworth is one of the greatest tourist destinations in Washington State. Nestled in a beautiful valley surrounded by mountain peaks that rise more than 8000 feet, and whereever you are coming from the road to Leavenworth is a scenic drive. The "Bavarian Village" is perhaps best known for its incredible year-round schedule of celebrations, festivals and events. From Kinderfest (just for kids), International Accordion Celebration, Oktoberfest and Christmas Lighting, to Washington State's oldest festival - the famous Autumn Leaf Festival.